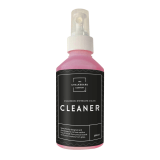 Chalkboards are a great accessory for businesses that regularly update their offers, prices or promotions as they can be wiped clean and updated in minutes. 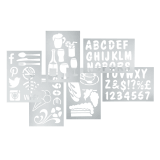 These work particularly well in restaurants, cafes or bars where food choices are updated as often as three times a day. 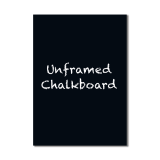 What is the Framed Chalkboard made out of? 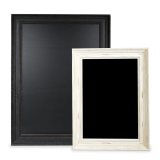 The chalkboard panel is 3mm thick MDF which can be wiped clean in seconds and the frame is solid wood with mitred corners for a styled look. How thick is the wood frame? The frame on these chalkboards is 40mm thick. Can this frame be used outdoors? Due to the natural materials used, we advise that this sign is only used indoors. Is this frame suitable for wall mounting? Yes, however wall fixings are not supplied with the product. Are you able to manufacture other sizes or colours? Yes, if you would like a different wood finish or a smaller or larger size than what we have on offer, please get in touch and we will be happy to talk you through our bespoke quote system. 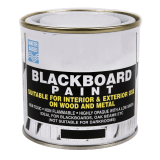 Will standard chalk sticks work with this Chalkboard? 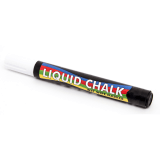 Yes they will, however it will also work perfectly with our Chalk Pens and matching Chalk Board Eraser.